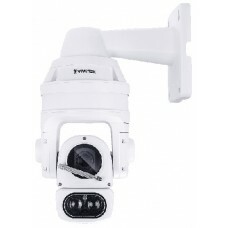 The SD9365-EHL is the latest professional speed dome camera with wiper from VIVOTEK, specifically designed to enhance low light surveillance in large coverage areas. Equipped with 150 M IR illuminators and a 20x optical zoom lens, the SD9365-EHL provides a superb low light image in the most challenging situations. The SD9365-EHL also adopts VIVOTEK's latest Smart IR II technology, Vari-Angle IR. VIVOTEK's Vari-Angle IR provides smooth variangle adjustment of the IR illuminators, allowing broad coverage FOV and highly uniform IR intensity while avoiding hot-spots traditionally associated with IR illumination.